In a crowded room with multiple conversations competing for your attention, it’s often difficult to hear clearly. However, if the words you’re trying to decode filter to your right ear, you have a much better chance of understanding what’s been said. It’s called the right-ear advantage, and scientists have proven the phenomenon is verifiable. The reason is the way information is processed by the brain. Sound received by the right ear is relayed to the left hemisphere of the brain where speech is interpreted. However, when the left ear hears speech, the sound must travel to the right hemisphere and then back to the left. That delay is responsible for the right-ear advantage. Although this phenomenon affects young children in particular, scientists recently tested the impact on adults and found that the more difficult the listening situation, the more the right-ear advantage persisted. The implications to those entering the workforce can be critical. Listening closely to new colleagues is especially important when learning unfamiliar concepts, tasks, and information. Likewise, observing—which of course involves listening—can be key to understanding the corporate culture of a workplace. Awareness about how your brain takes in information can make the difference between being a quick study and valuable asset to an organization, or a confused, inattentive, and clueless new-hire. So next time you want to make sure you absorb what’s being said, you might want to lean to the right. 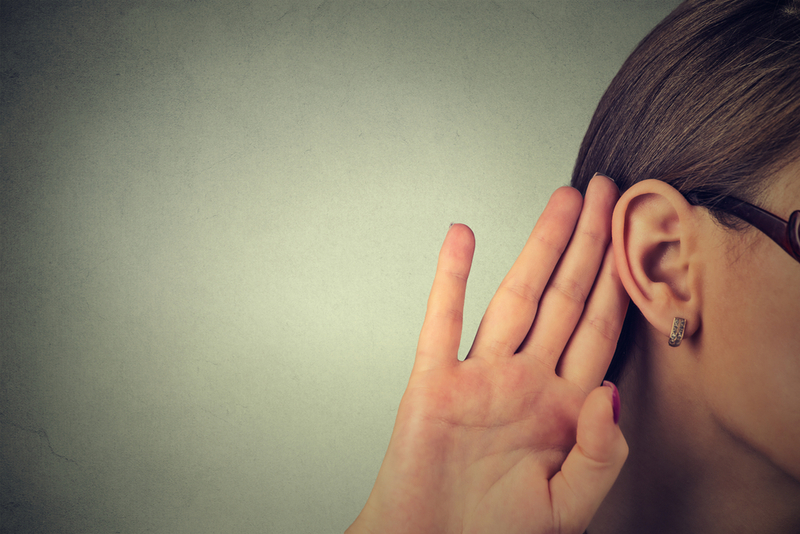 What are some reasons for developing good workplace listening skills? Why might interrupting a speaker lead to poor communication? What are some ways you can communicate that you are listening without interrupting? This entry was posted in 3. News You Can Use on April 24, 2018 by bizcombuzz.